All the fighters slated to participate in tomorrow night’s “UFC 187: Johnson vs. Cormier” event tipped the scale Friday inside MGM Grand Garden Arena in Las Vegas, Nevada. Please click HERE if you would like to stream today’s weight competition. 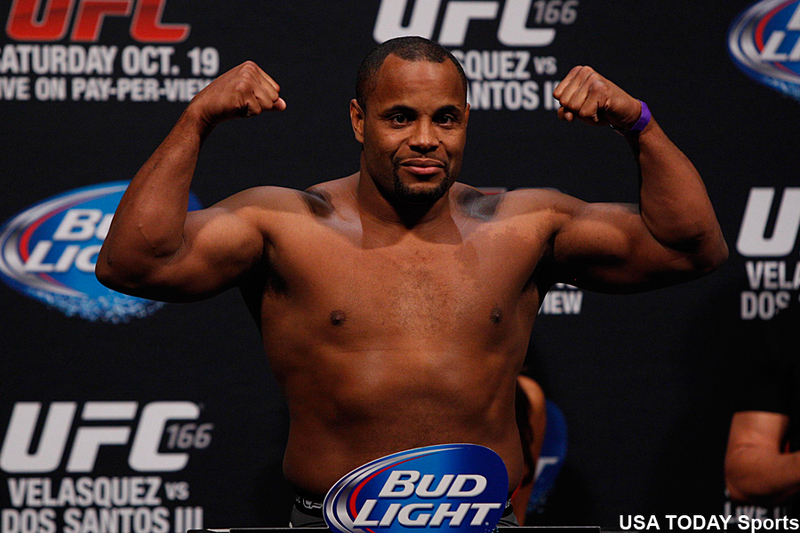 Former top contender Daniel Cormier (pictured) and Anthony Johnson vie for the vacant light heavyweight title in Saturday’s main event. Middleweight champion Chris Weidman put his strap up for grabs against Vitor Belfort in the co-featured attraction.